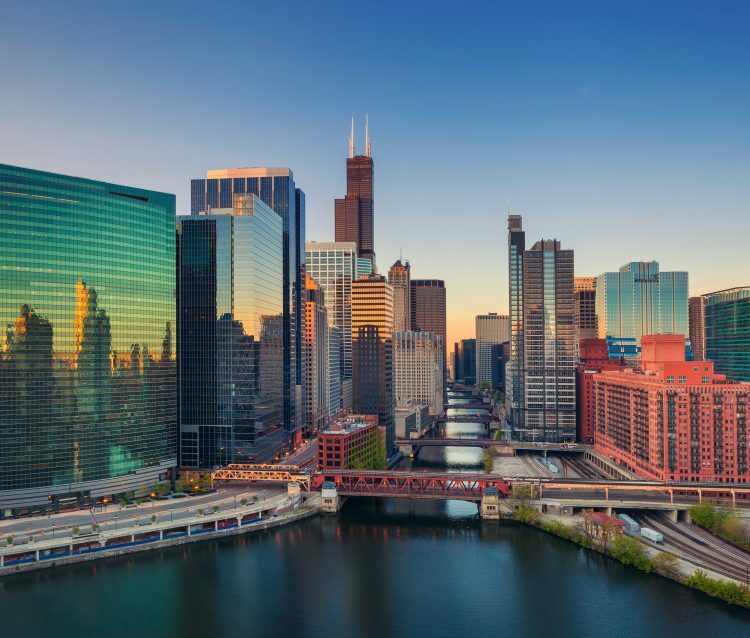 The Sheraton Grand offers a truly remarkable experience, situated in the heart of the bustling downtown district amongst Chicago’s most iconic attractions including Millennium Park, Navy Pier and the Magnificent Mile. Stay in the stunning Club Level Guest Room, situated on the 29th floor with exceptional scenic views of downtown Chicago, which makes for a special stay. Within the 400 square foot room is a king-size bed of dreams, a 47 inch LED screen and giant shower room to warm up after winter walks. Just watching Chicago drift on by through the giant windows of the room is a thing of perfection. Out of one window, the glistening beauty of Lake Michigan under the winter sunshine is breathtaking and the other, the typical hustle and bustle of a city, cars navigating their way through the December breeze and the juxtaposition between the beautifully illuminated concrete skyscrapers and crisp sweeping lakes is a thing of beauty. Located in the heart of River North and run by executive Chef Marc Wuenschel, The Hutch Cafe opened in 2016 and has a menu focused on brunch and happy hour specials. To start, try a warm, creamy coffee made by the barristers in store, follow this with the indulgent croissant french toast with strawberry, mascarpone and maple syrup—a sweet plate of dreams and the perfect way to start the day before setting off to explore. Spend the morning in the heart of downtown Chicago with the City’s skyline as a backdrop; a ribbon of icy winds through a rolling landscape provides an ice skating experience like no other. As the bright winter sun beams down on the glittering ice rink, pull on your skates and glide around the rink surrounded by majestic skyscrapers. Don’t forget to treat yourself a luxuriously thick hot chocolate, the perfect way to spend a morning. Bobby’s Bike Hike was founded in the summer of 2002 by Arkansas-bred traveler Jeremy Lewno. 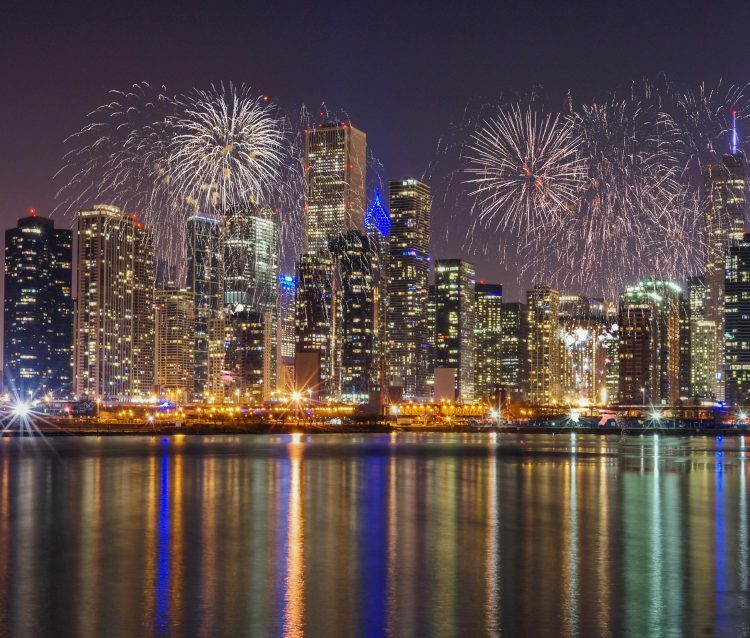 Set off on a walking tour of the beautiful city, stopping off at many of Chicago’s famous joints along the way sampling and smelling all of the holiday treats that makes winter in Chicago so delicious. 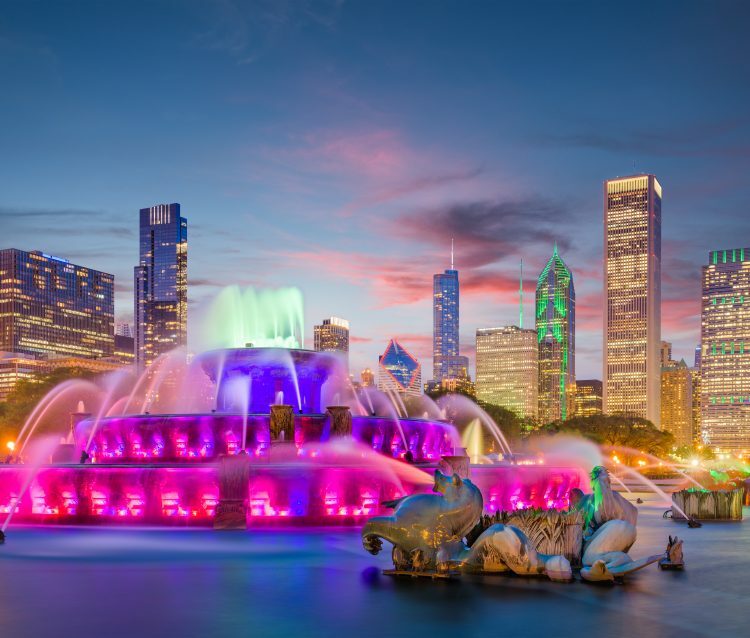 Stop off for some of Chicago’s most delicious treats such as caramel and cheese popcorn, deep dish pizza and a famous Max’s take out hot dog. Sample some gooey brownies at the historic Palmer House Hotel where the sweet treat was first invented and some German Cider in Chicago’s largest open-air German Christmas market, Christkindlmarket. In between food delights and scenic views, step back in time and visit the American Writers Museum, the first of its kind in the United States. The museum is eye opening and cleverly explores and celebrates American writers and their influence on our history, identity and daily lives. Through innovative exhibitions, art displays and cleverly set up activities, it really does educate and inspire visitors of all ages and nationalities. You cannot go to Chicago and not visit the Willis Tower. Located in Wacker Drive, the 110 storey skyscraper provides breathtaking 360 degree views above Chicago. Experience ‘The Ledge’, a glass box that hangs 4ft from the side of the highest observatory in the western hemisphere. It is a thrilling experience overlooking Chicago’s beautifully twinkling Christmas displays from a birds eye view with the ground 1,353ft below your feet—phenomenal doesn’t even begin to explain it. Just as the December sun starts to go down, board your journey of dreams and experience the magic of the holidays with Chicago’s most spectacular light displays of the City on the holiday lights tour. Stopping at the markets, the Zoo and even delivering sprinkles cupcakes on board your journey. The festive trolley boards outside the John Hancock Centre at the top of the Magnificent Mile and lasts for two and a half hours, then makes numerous stops to explore Chicago’s festive beauty. You’ll be whisked down State Street and through the Loop to Chicago’s famous Christkindlmarket where Daley Plaza becomes an old German village filled with quaint shops and holiday treats. Next, make your way over the river and up to ZooLights at Lincoln Park Zoo, where it transforms into a brilliant array of lights, music, and crafts. Dine in style at Orso’s Italian, set in Chicago’s Old Town Italian district, the whole restaurant screams of old school Italian finery and is family owned. The place is decked out with beautiful gilded mirrors, huge round tables, deep velvet decor and stunning chandeliers like a palace steeped in history with stories just dripping from the walls. Start with the calamari, followed by the creamy chicken and mushroom rigatoni, stunning velvet-like red wine and the best tiramisu in the world. It’ll be an unforgettable dining experience with every dish on the menu set to impress at Orso’s. Step back in time and enter the small black doors of the Green Mill Cocktail Lounge. It has bright green glittering neon sign and velvet jazz music seeping through every crack. You may have the pleasure of sitting in Al Capone’s booth opposite a live jazz band and old fashioned dance floor which oozes of untold secrets from time gone by. The dim lights, old style dress and beautiful silky jazz really brings Chicago to life and should be added to add to any bucket list.